The following column is appearing in a number of APG of Eastern Minnesota newspapers during January, 2019. Many working and low-income parents with infants or preschool children face tough decisions, whether they live in Little Falls or Lakeville, St. Louis Park or Stillwater. 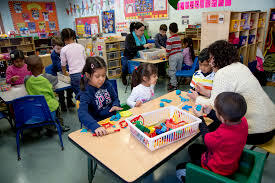 Child care options often are limited, and the best programs usually are very expensive. So is prenatal care. Arthur Rolnick, a former Federal Reserve Bank economist now at the University of Minnesota, recently pointed out that more than 35,000 Minnesota youngsters from low-income families don’t have access to strong early childhood programs. This is despite research showing that high-quality early childhood programs working with low-income families and their children have powerful long-term impacts. Some of the biggest decisions the 2019 Minnesota Legislature will make involve some of the state’s youngest, smallest citizens. Conversations with two key legislators, one a Republican, one a DFLer, suggest that they agree on at least some priorities. Sen. Carla Nelson, R-Rochester, chairs the Senate’s E-12 Finance and Policy Committee. Rep. Dave Pinto, DFL-St. Paul, chairs the Minnesota House Early Childhood Finance and Policy Division. Minnesota has debated for decades how to best organize and support early childhood and child care. Over the last eight years, Gov. Mark Dayton and the Legislature compromised. The state provided enough money so that every public school, district and charter could offer full-day kindergarten to all students. More money was allocated to provide early childhood scholarships for children from low-income families and for child and dependent care tax credits. But as mentioned earlier, tens of thousands of low-income Minnesota families still don’t have access to strong early childhood programs. Joe Nathan, formerly a Minnesota public school teacher, administrator and PTA president, directs the Center for School Change. Nathan can be reached at Joe@centerforschoolchange.org.